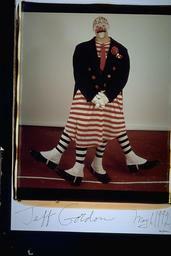 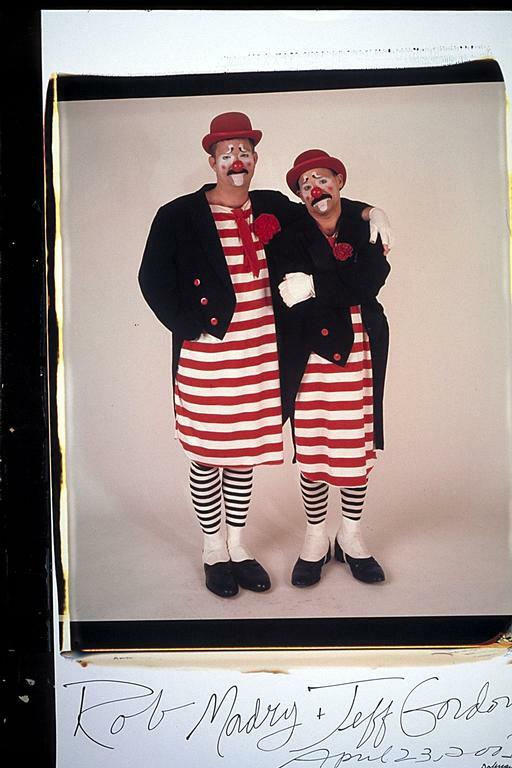 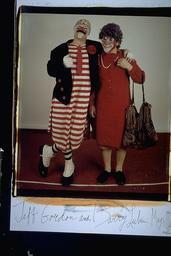 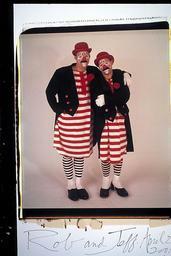 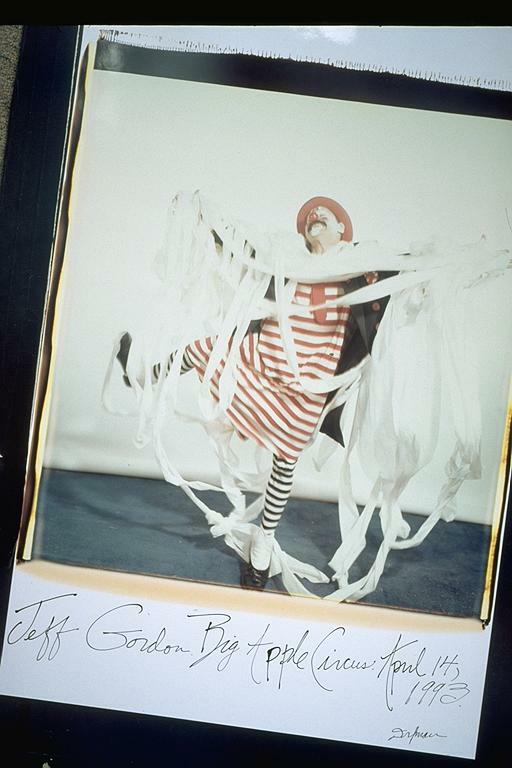 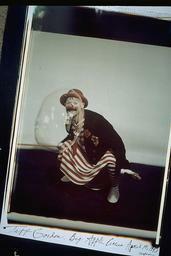 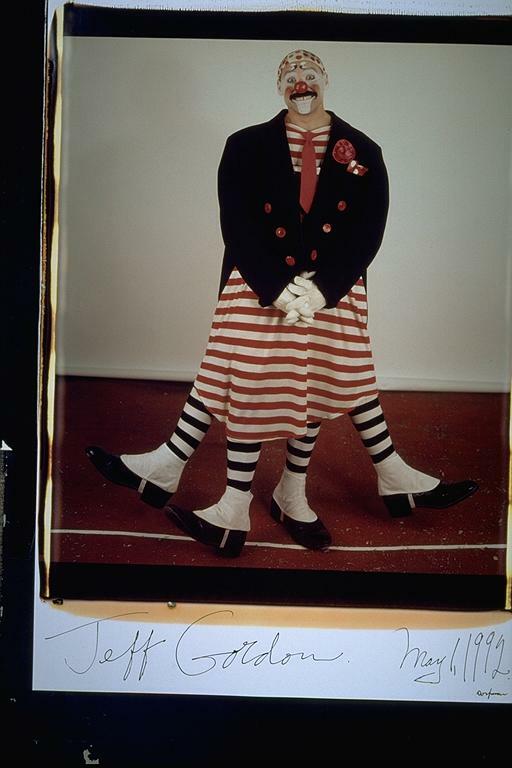 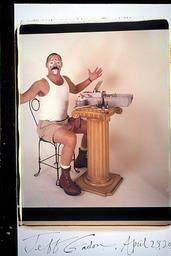 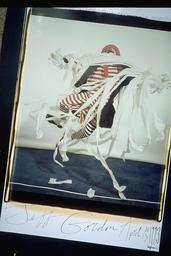 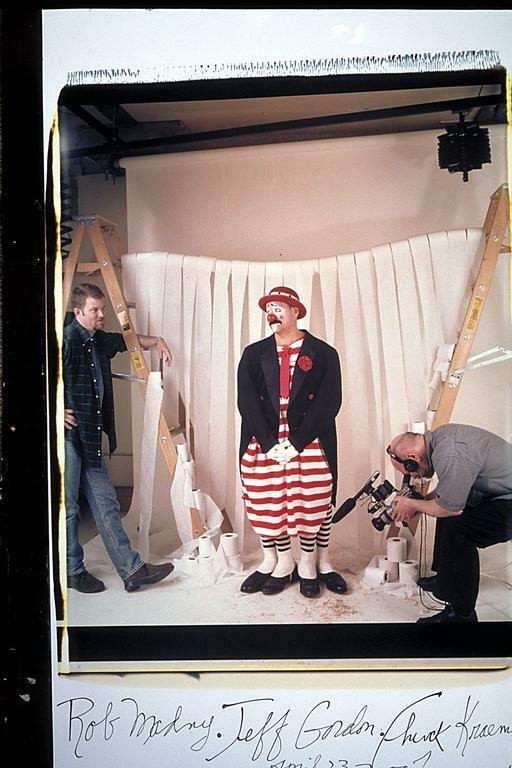 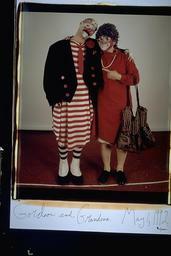 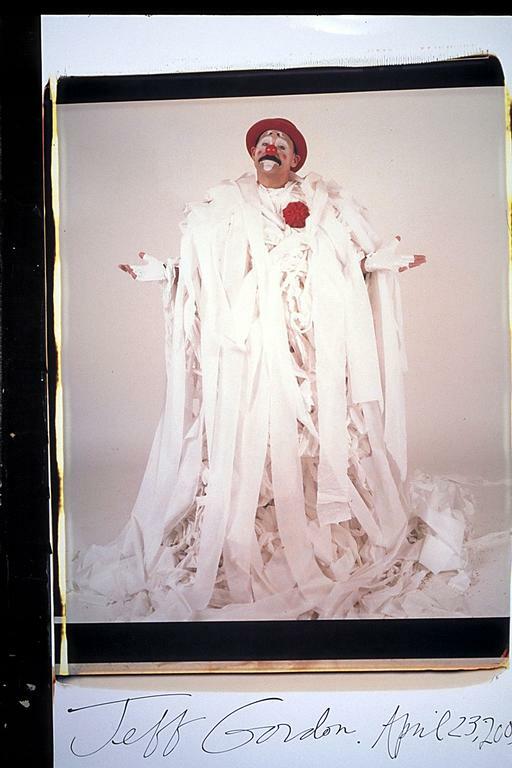 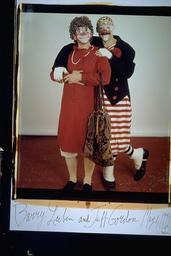 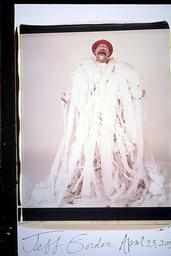 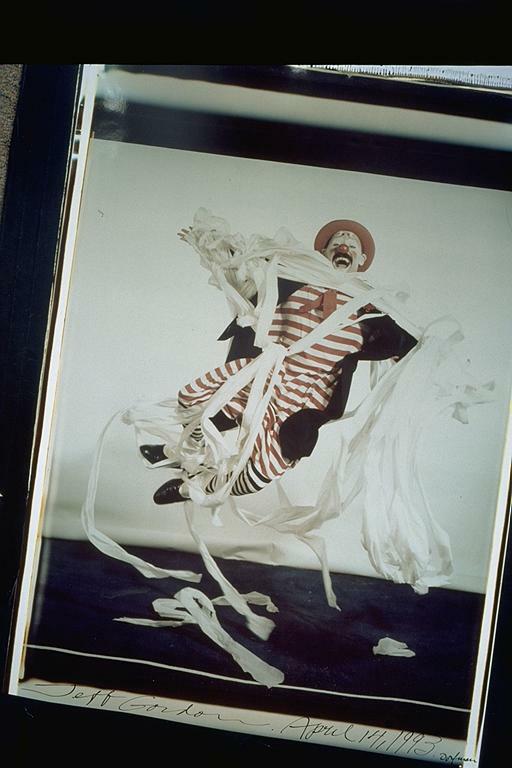 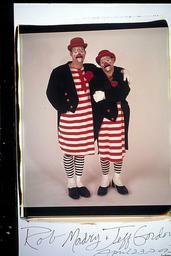 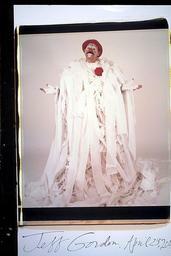 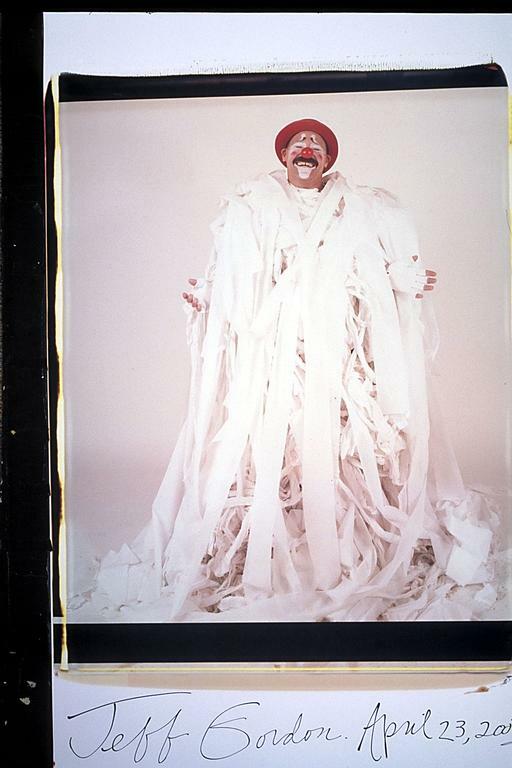 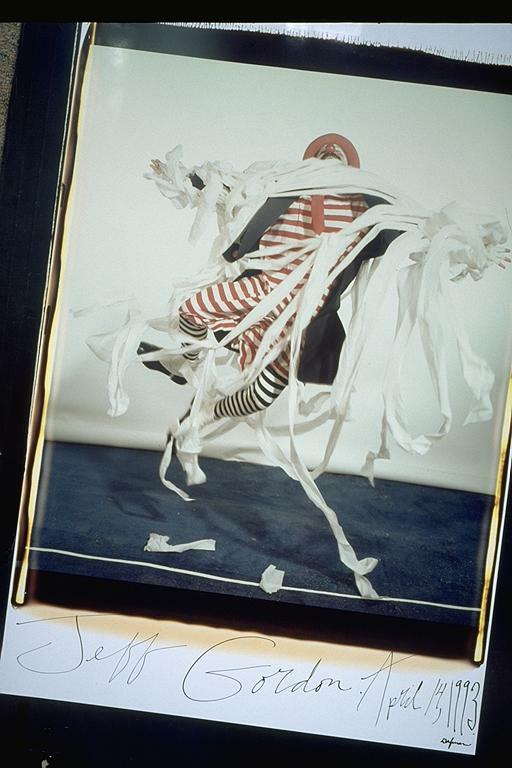 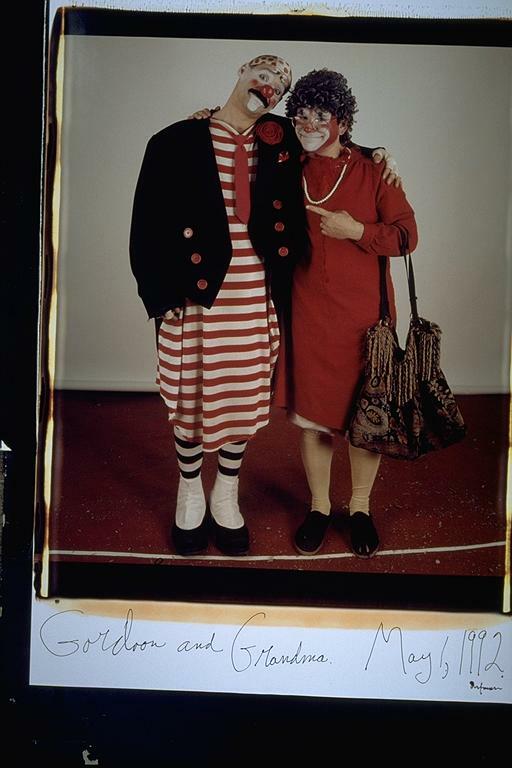 I met Gordoon in 1993 when I brought my 20x24 Polaroid to the Big Apple Circus. 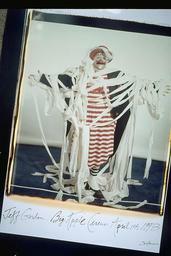 It was April and I considered the elaborate shoot a birthday present to myself. Tracey Storer and Ian Churchill and Elizabeth Power Robison, my niece, Rori Kelleher all had to help me bring the parephanalia that duplicated my studio in the ring between shows. 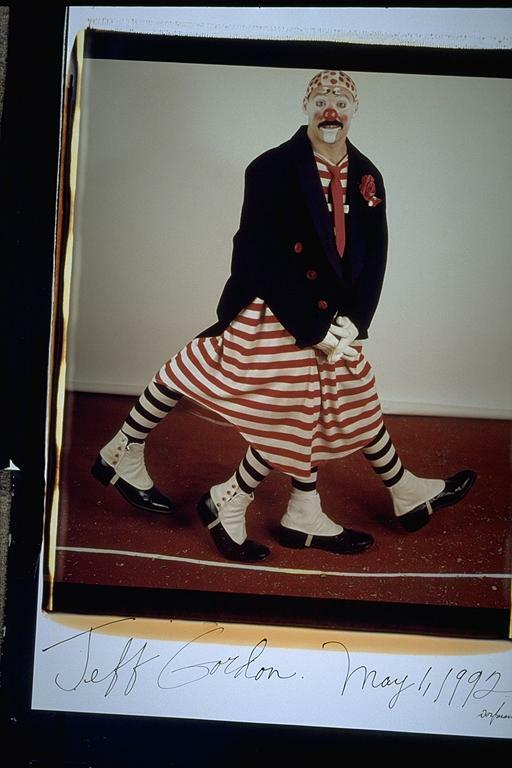 My devoted friend Dan Stern is an enthusiastic supporter of the Big Apple Circus and convinced the circus to cooperate w/ me. 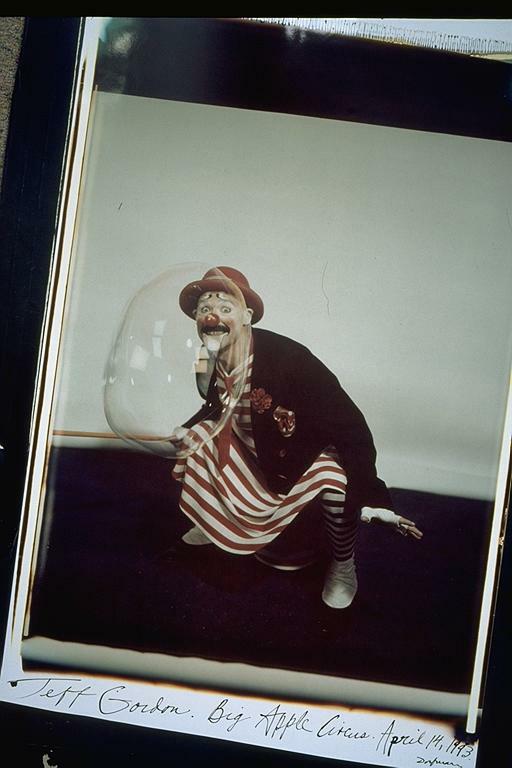 I got great pictures and several of the Big Apple Circus portraits are now owned by the Museum of Fine Arts, Boston, and the Fogg Museum at Harvard. Each museum actually owns a unique portrait of Gordoon. Over the years, Jeff Gordon heard about the success of my Gordoon portraits and sent me an email. 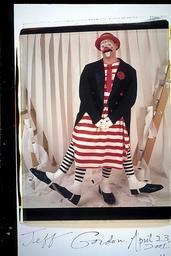 We became cyber friends and when he was in Boston in 2001 w/ the Big Apple Circus he visited my studio. 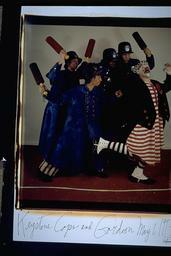 We played.